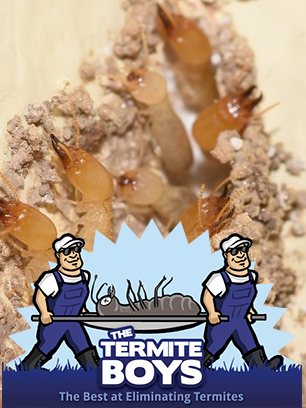 At the moment, the Formosan subterranean termite is the most active of all invasive termite species in the United States. For the past few decades, the US Government has spent billions of dollars on eradicating Formosan termites from the country, but these efforts have proven largely fruitless. For the past ten to fifteen years another invasive termite has been slowly gaining ground in Florida, and some entomologists believe that it is only a short matter of time before this species establishes colonies north of Florida. This invasive termite species is commonly referred to as the Asian subterranean termite, and it has already inflicted massive amounts of damages in countries located near its native home in Asia. Many experts believe that America will soon fall victim to the same devastation that the Asian subterranean termite has already caused in countries like Brazil and New Zealand. Unfortunately, these termites have not been subjected to as many studies as Formosan termites have concerning optimal control methods, and this is why many American researchers are looking to the country of Fiji for guidance. Several years ago, the island country of Fiji saw numerous citizens forced out of their homes due to structural damages caused by termites. In response to the widespread termite-induced devastation, the government initiated a three step program that successfully kept the termites at bay while hundreds of homes and schools underwent repairs. During the years of 2009 and 2010 Asian subterranean termites caused millions of dollars in structural damages in schools, homes and municipal buildings in Fiji. Most of the damage was inflicted upon structures in the city of Lautoka. By the end of 2011, 865 homes and 20 schools in Fiji had successfully been repaired and no further large-scale infestations have occured within urban areas. However, keeping the termites at bay was not easy, and it required the concurrent use of several different types of pest control methods. In addition to insecticides and termite barriers, several unorthodox termite control methods were used with success. Some of these methods included tearing apart termite mounds, flooding termite mounds with hot and cold water and exposing termites to hot peppers and ash. Asian subterranean termites cannot be controlled with one single strategy as their subterranean tunnel networks cover far too much ground for their central nests to be traced with accuracy. Integrated pest management (IPM) seems to be the only option for controlling the spread of these cryptic termites. In America, the Asian subterranean termite is moving farther north as a result of finding moisture from crop irrigation and heat from central heating within structures. Do you think that global warming will make the environment north of Florida more hospitable to Asian subterranean termites?